Perhaps you have a friend in recovery, know someone who is addicted to video games, or have heard of people who have to delete their Facebook accounts because their usage of social media gets out of hand. There are many possible addictive behaviours. Whilst not all of them end up in full-blown addictions that directly threaten our lives, all of them affect our mental and emotional well-being, productivity, ability to take care of ourselves and those around us, and live the life we always wanted. Addiction is a serious problem that many people suffer from. It varies from minor dysfunctions to full-blown brain disorders, but no matter the gravity of the problem, addiction is categorized by the compulsive engagement in the rewarding stimuli despite the adverse consequences of such behavior. Simply, every time you engage in a rewarding experience your brain releases dopamine which does two things: gives you pleasure and encourages you to seek and repeat such an experience in the future. Dopamine is not bad in itself, in fact it is a system that reinforces behaviors needed for survival, and is a major contributor to learning. However, dopamine-dependent behavior can become increasingly compulsive and overpowering, turning into an addiction. A few Factors in Addiction. Not everyone engaged in addictive behaviors becomes a hard-core addict. Researchers point to three major variables that influence a person’s chances to become addicted: biology, environment, and development. Biology: some people are genetically predisposed to be vulnerable to addictive behaviors. More over, gender, ethnicity, and the presence of other health factors may influence risk for addiction. Environment: many possible influences are at play, from family and friends to conditions and quality of life in general. Social circles, trauma, stress, and adverse childhood experiences can greatly influence the occurrence of addictive behaviors and their hold on a person’s life. Development: during the most vulnerable stages of a person’s development and emotional maturation, events can increase the risk of addictions. The earlier the person is exposed to addictive behavior, the more likely it could turn into a serious problem. Because the areas of the brain that have to do with decision making, judgment, and self-control are still developing, children and younger persons are especially vulnerable. Addictive substances and behavior can cause both positive and negative consequences in the short term. However, in the long-term, most addictions lead to the development of negative consequences on a person’s life. Physical: increased tolerance and dependency on the addictive behavior or substance, as well as lack of energy to engage in life and inability to focus on one’s tasks and responsibilities. Often there is disinterest in life-sustaining practices such as eating and sleeping. Emotional: gradual fall-out from social events and lack of emotional engagement with others. Communication and reasoning with those who are becoming seriously addicted becomes increasingly more difficult. Psychological: participation in irresponsible or high-risk behaviors to support the addiction. Depression, suicidal tendencies, and possible mental illness can appear. One of the oldest and most successful programs out addiction is the 12 Steps, originally from AA (Alcoholics Anonymous) original Big Book. Dismissed by many as a “religious” program, it is nonetheless the most proven way to sobriety up until today. It is difficult to say which element plays a crucial role in its effectiveness, but the following variables are no doubt important: the reliance on the “higher power”, taking the responsibility for one’s life and actions, asking forgiveness and forgiving oneself for the past mistakes, making amends, sharing the message with others, and becoming a member of a well-organized, well-established, and supportive community. 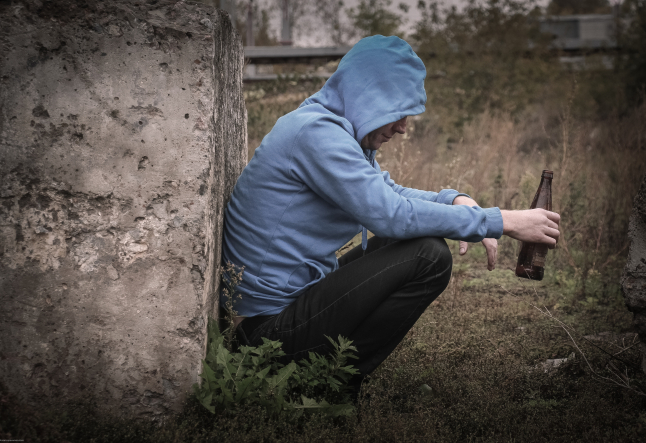 It seems that what drives people into addiction is a lack of interconnectedness with others, loss of meaningful social bonds, and a feeling of loneliness resulting from not belonging to a community of like-minded individuals. Yoga and combating addictive behaviors. To a varying degree, I myself have experienced an addiction to video games and social media in my teens. As I started to practice yoga and later meditation, I was able to pull myself out of these addictive behaviors and not need them anymore to soothe my unresolved emotions. I was lucky that my health issue (a bad scoliosis) and my environment (a father who did yoga) brought me to a way out, with yoga leading me on the path of personal transformation through expanding my awareness, providing a space for self-inquiry, and initiating the expansion of my consciousness. Yoga also helped me to find more self-confidence through self-acceptance, as well as showed me a way to the true self; my inner center of stability, peace, and internal happiness. Check out this video to learn more about Taylor Hunt and his story of overcoming addiction. Notes: To read more on the issue of how the 12 Steps and yoga can lead towards sobriety I recommend “A Way from Darkness” by Taylor Hunt. An effective treatment program that includes yoga and other physical activities is very helpful in achieving a successful recovery from drug and alcohol addiction. For a treatment center that is located in a stunning location, an alcohol rehab in Thailand is a great option. 3. Author Unknown (2017). Drug Abuse Statistic.